My experience on Metro yesterday made me think of Zoot Suits. Worn first by black and Hispanic teenagers on both coasts in the late 20s/30s as a statement against the majority, the zoot was soon picked up by musicians and dancers in the early 1940s and even found its way into mainstream fashion. The fabric for zoot suits was like the suits themselves – dramatic and overstated. The fabric was either brightly colored or boldly patterned with wide pinstripes or glen check. 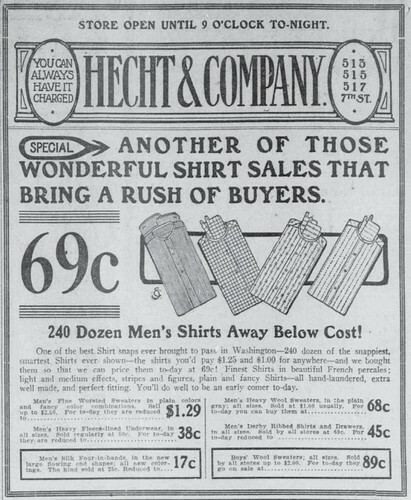 With fabric, the bolder the better – the goal was to distinguish oneself from the mainstream. 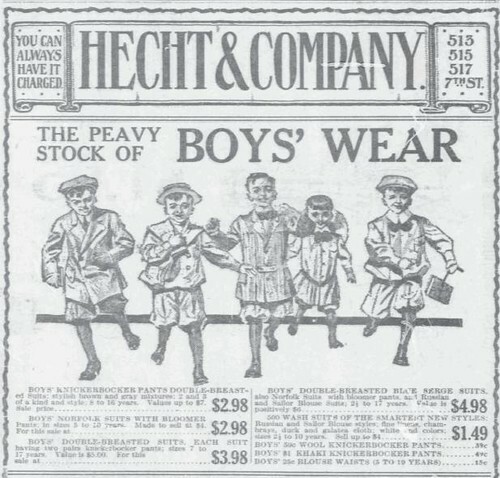 After cloth rationing began in 1942, men’s suits became shorter, narrower, and plainer. 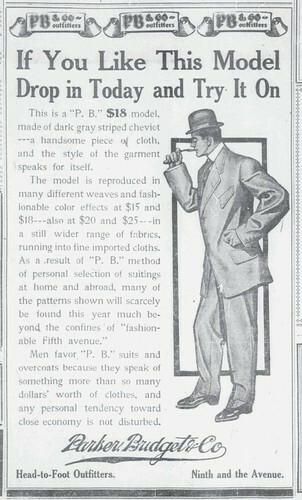 Zoot suits were seen as unpatriotic and wasteful. Many Americans, especially servicemen, resented those who wore zoot suits. The photograph above is from June 1942. I’m happy to report that I’ve seen my first Dandy of the season. I was almost beginning to think the art of foppery had died. Yesterday, while ridding the Metro to work, which in and of itself is and interesting location for a Dandy if you think about it, there he was … a young gentleman probably no older than his mid- to late-twenties, but certainly no older than thirty-two. Tall, slender, and svelte, he was clean shaven with a head of rich auburn hair cut similarly to Mick Jagger. Wearing tan trousers, dark brown leather shoes and a belt, he topped it off with a checked shirt of pastel robin egg blue and lime green. Upon this rather mild backdrop he added a solid lime green tie, accentuating the green of the shirt. He carried this further by having a matching pocket handkerchief that was flowing out of the breast pocket of the midnight blue denim jacket he wore. The jacket had a cut reminiscent of a frock coat, including cuffs that flared slightly and decorated with three brass buttons each. Perhaps the most important thing he wore was his air of self confidence. He certainly didn’t think twice about using the Metro door as a mirror when his meticulously manicured fingers fussed with his pocket handkerchief in an attempt to get it just so.